Hi all! If you know anything about me by now, you know that I’m not a professional chef. I’m a busy mama of four and I don’t have time to dilly dally around in the kitchen everyday! That means when I hear something like “easy recipes”, “5 ingredient meal”, or ‘one pan’… well let’s just say you had me at “one pan”! 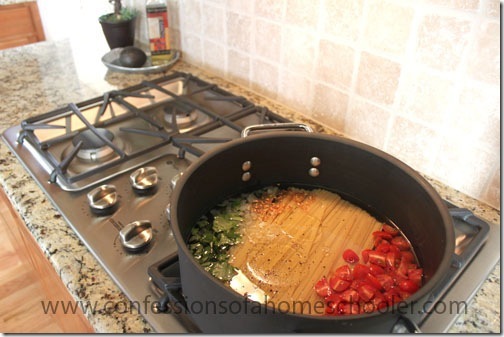 So today I have a one pan pasta dish for all of you busy parents out there! So if you have about 15 minutes to spare, then stick with me people and you’ll also have dinner ready too! 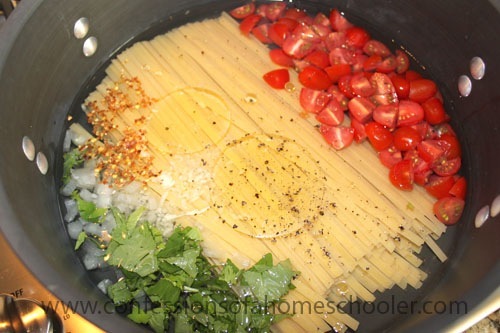 Combine all ingredients (except capers and parmesan cheese) in a large straight-sided skillet. Bring to a boil over high heat. Boil mixture, stirring and turning pasta frequently with tongs, until pasta is al dente and liquid has thickened into a nice sauce, about 10 minutes. 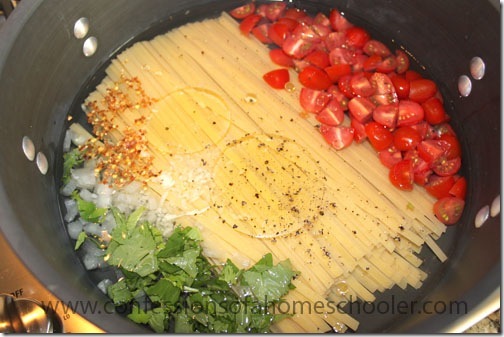 Add in the capers and cook another few minutes, then serve warm with some fresh parmesan and garnish with fresh basil. Season to taste with salt and pepper, serves 6. We also like to have some yummy bread and that amazing Italian dipping sauce from our favorite restaurant…Carrabba’s! Mix all above ingredients together and store mixture in refrigerator until ready to eat. Serve in small dipping bowl. 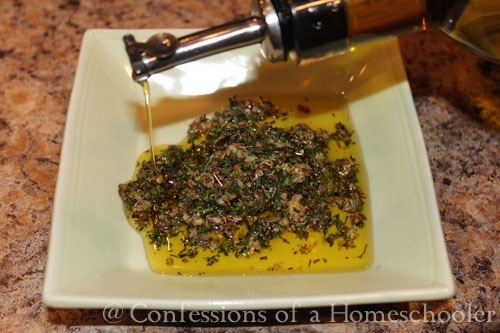 Add more olive oil to spice mixture as desired for a wonderful dipping sauce! Sounds like what’s for dinner tonight, thanks for the easy plan!! Do you think you could adapt this to go in the crockpot?? I wonder what you could do to make it work? I’m not sure about the crockpot, but I don’t see why it wouldn’t work. I’d just keep an eye on it to make sure it doesn’t get dry, and add extra water if needed. 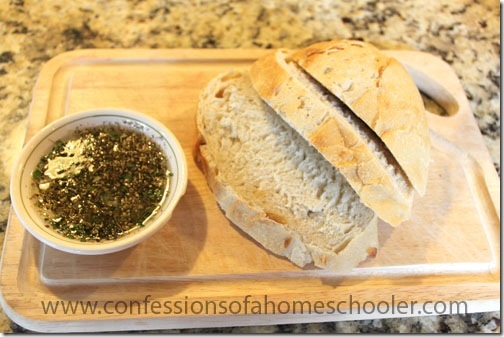 I adore making dipping sauces with fresh bread! YUM! Just had this for lunch and it was DELICIOUS!! This is delicious!! And really so easy. I love finding extra uses for my fresh basil! Do you have a good bread recipe?